I wanted to pack as light as possible. The sleeping bag was the last item I could feel weighing down my pack. I knew that some albergues provided blankets, and if I got cold, I figured I could either layer up my clothing or buy a sleeping bag liner while in Spain. This, however, would have been a bad decision. 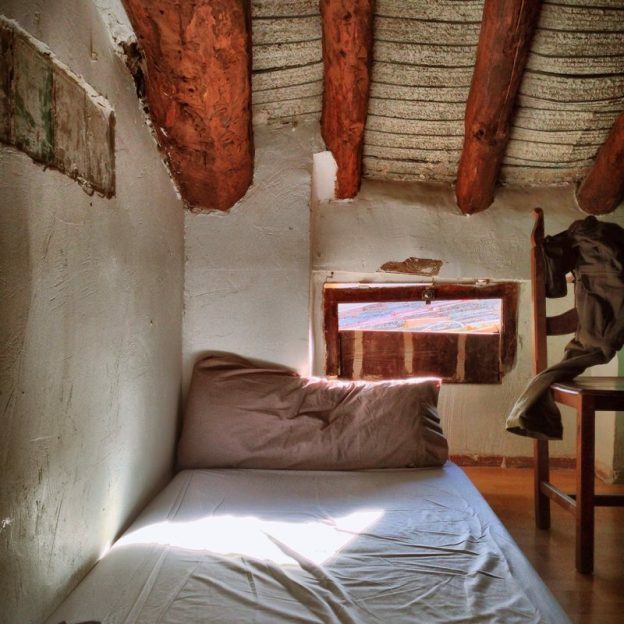 Some albergues provide blankets, and some albergues are warm enough that you might not need further insulation, but there’s no way to predict this ahead of time. You can have a perfectly warm night, followed by a freezing one. You can generally assume that the more expensive albergues will provide a more complete range of facilities, such as blankets and heating, but the more expensive albergues will also book out quickly, as they’ll have fewer beds to start with, and in many towns, all of the albergues will be relatively basic. You can plan ahead to guarantee a warm bed every night, but this can take some of the spontaneity out of the trip. The benefit of a sleeping bag, then, is that it provides consistency. You know that, no matter what, you’ll be able to snuggle up in a warm cocoon at the end of a hard day’s walk. This means, for the cost of a slightly heavier backpack, you have both freedom and peace of mind. The good news is, you don’t need a fancy sleeping bag, as you won’t be sleeping in sub-zero temperatures, so there are lightweight options that don’t cost (too) much. Note: If you’re an active hiker, think about buying a sleeping quilt, instead of a bag. They’re lighter, easier to pack, and very affordable relative to the warmth they provide. Let’s say you really don’t want to travel with a sleeping bag. Like, you’re an absolute stickler for ultra-light travel and you’re willing to forego some comfort if it means keeping your pack as light as possible. If you’re driven by this sort of compulsion, which I can relate to, can you walk the Camino de Santiago without a sleeping bag? Or at least, I’m fairly sure you won’t freeze to death, but there is a decent chance you’ll wake up in the middle of the night with the unquenchable desire for warmth. Pack warm, insulating clothes. In general, this means wool clothing. These clothes will be lighter than a sleeping bag, keep you warm while sleeping, and serve more than a single purpose (unlike a sleeping bag, which is only good for sleeping in). Icebreaker makes great clothes for this purpose, but cheaper alternatives can be found on Amazon. Only stay in albergues that offer blankets. Just make sure you start walking early in the day, so you’re not limited for choice when you’re ready to settle down for the evening. Alternatively, call ahead, ask if the albergue has blankets, and if they do, make a reservation. Personally though, I’d rather carry the sleeping bag for the sake of flexibility. Walk the Camino in the summer. This is not the ideal season for walking the trail, since it becomes (very) hot during the day and there are long stretches without any shade, but the added heat at night will work out in your favour. Even if you’re don’t pack a sleeping bag though, at least pack a sleeping bag liner. They’re cheap, light, and can take the edge off a particularly chilly night, so they make for a good insurance policy if the other strategies fail.